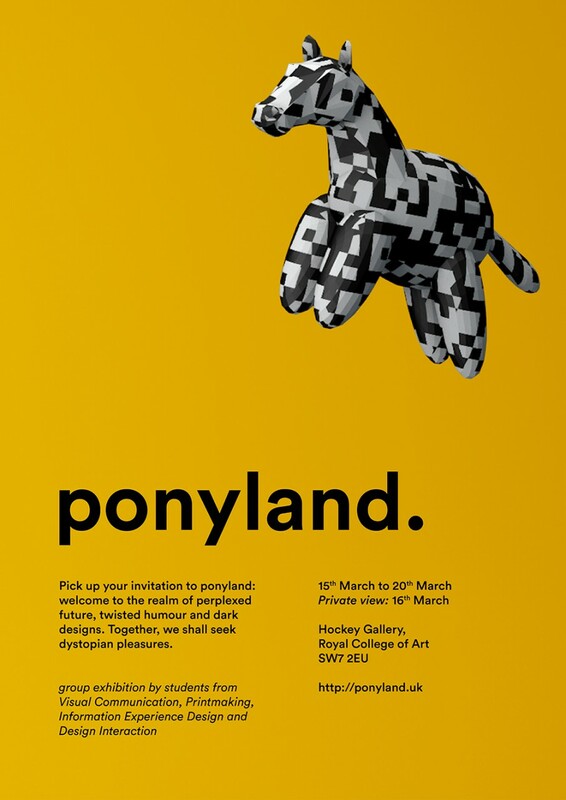 Ponyland is an exhibition which I personally curate. The modern society is obsessed with the future: anything could become the narrative of dystopia or utopia. We are living in the age of bewilderment, where the border of paradise and apocalypse is led astray by technological frenzy, political lunacy and economical hysteria. Ponyland challenges the tension of the unknown future. We invite the audiences to salute whatever might come with dark laugh and euphoric interaction. A collective of anti-disciplinary projects by students from different departments of the Royal College of Art: Printmaking, Visual Communication, Design Interaction and Information Experience Design.